Whether you love (?) them or hate (?) them, chances are that you have seen or used an emoji or two in your day. Maybe you’ve used a few of your own today. In the last year, these little faces and icons are revolutionizing the way brands are running marketing campaigns. The Birth of Emoji ? Emoji were first introduced by Shigetaka Kurita who was part of the team preparing for the 1999 debut of NTT Docomo’s i-mode, or the world’s first major mobile internet system. With face-to-face conversation, one can usually determine the other person’s mood from vocal and facial cues. However, the absence of such expressions in new mobile mediums (texting, email, etc.) resulted in increased miscommunication. Over the last few years, emoji usage has gone beyond the world of texting teenagers. Emoji are currently used by major companies as part of marketing and communications campaigns. In June 2015, GM put out a press release composed entirely of emoji to introduce the new 2016 Chevrolet Cruze. Domino’s pizza implemented a new system of ordering simply by sending a pizza emoji. Taco Bell celebrated the release of 2015’s new taco emoji with the Taco Emoji Engine. Facebook has globally released “Reactions” for those who feel as if “liking” a post fails to show how we really feel. And for the first time ever, the 2015 Oxford Dictionary Word of the Year was an emoji: “Face with Tears of Joy,” a.k.a. ?. Emoji cross language barriers. They are used by people around the world and can reach foreign markets without needing a translator. Emoji say more with less. 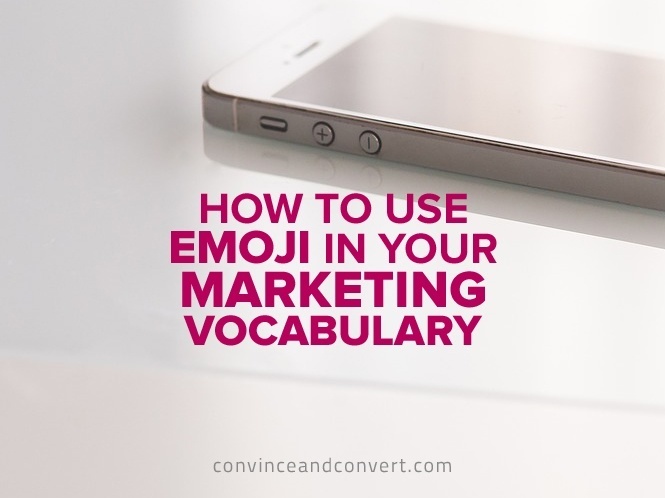 Marketers operate in a world of limited word-counts, and emoji are a powerful tool for conveying lots of information without words. Emoji make it easier to decipher emotional reactions across social media. While this advantage may seem like a no-brainer, emoji allow you to see how people are feeling at a glance, based on which emoji they choose to share in public statements. 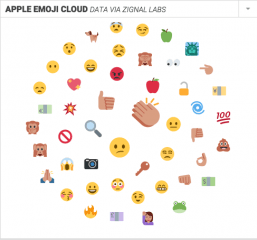 A glance at the new Zignal Labs Emoji Cloud reveals that in Twitter’s response to Apple taking on the FBI, ?, or “clapping hands” is the emoji dominating the conversation. This seemingly indicates that those discussing the story are proud of Apple for standing up to the government and defending its users’ privacy rights. As seen with several companies in the past year, and surely more to come, emoji are now a major part of the marketing vocabulary. These symbols and icons not only draw attention to your message, but also help you uncover a deeper understanding of who your target audience is and what people are saying about your brand.